It is important for us to majorly avoid industrial products for cooking. Most things can be easily prepared at home and taste ten times better than the industrially produced type with its additives. A great vegan substitute for cow’s milk is almond milk. 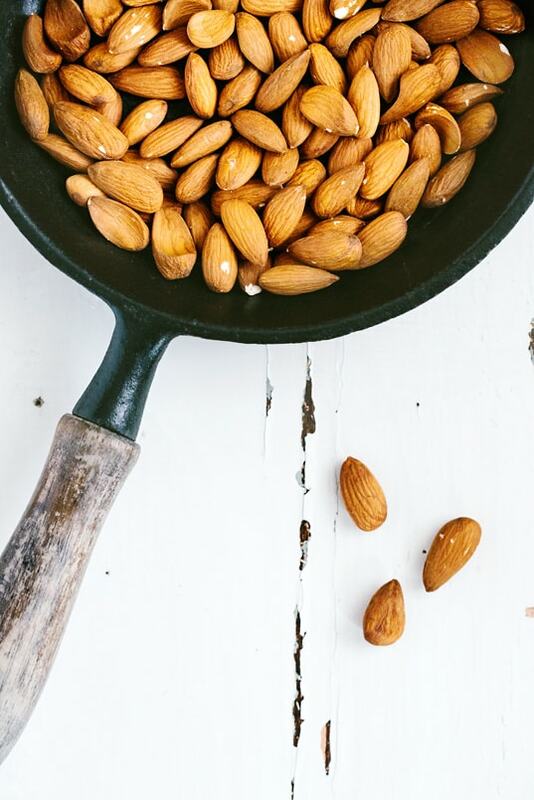 Roast the almonds in a pan until they slowly start scenting. Add water until they are fully covered and let them soak for several hours or over night. Drain the liquid. You can either puree them directly or peel them beforehand. You can easily press them out of their husks to make the milk whiter. 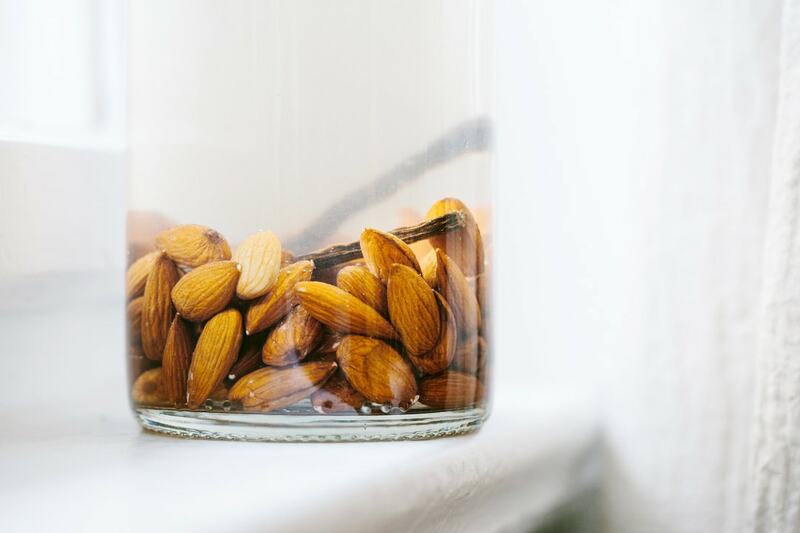 Combine the almonds with 1 liter of fresh water and add the vanilla pulp. You can season the milk with a pinch of sea salt and some agave syrup. We refine it before we use it, depending on the dish. After pureeing the almonds to a foamy milky liquid, we let it rest for some minutes to allow the almonds giving more taste to the milk. Then sieve the milk through a cloth. Now you can enjoy it pure or use it for desserts as a milk substitute. 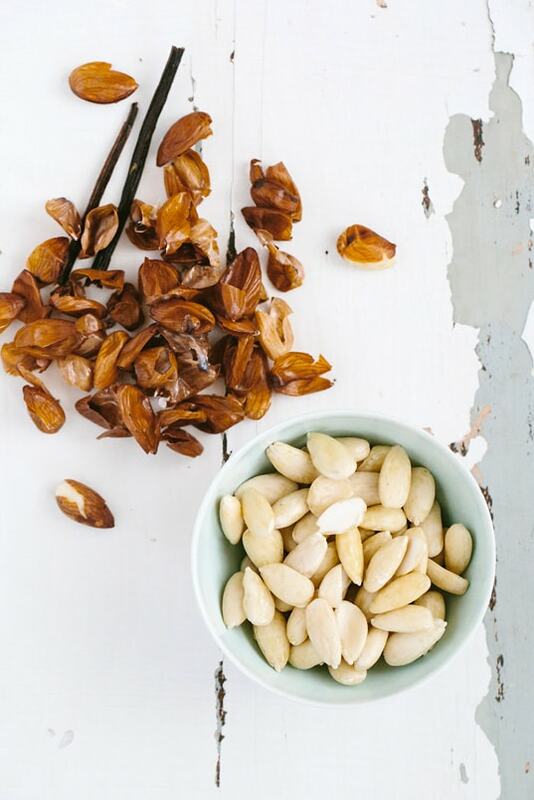 The remaining pureed almonds in the cloth can be dried and used as almond flour. 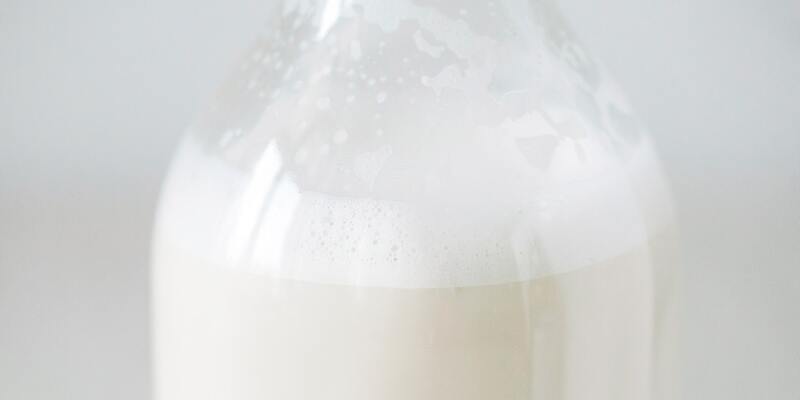 If you don’t use the milk right away, you can add the scratched vanilla bean to give it more taste of vanilla. 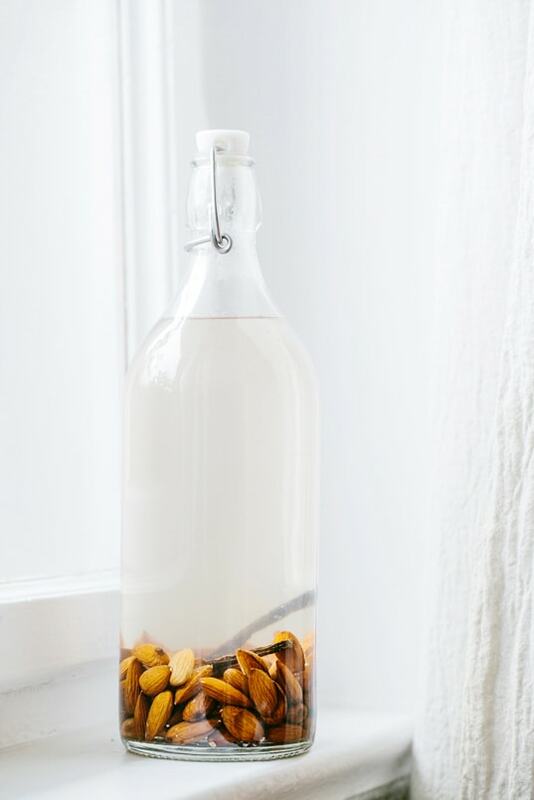 You can also keep the vanilla bean in a jar or bin with sea salt or blossom sugar. 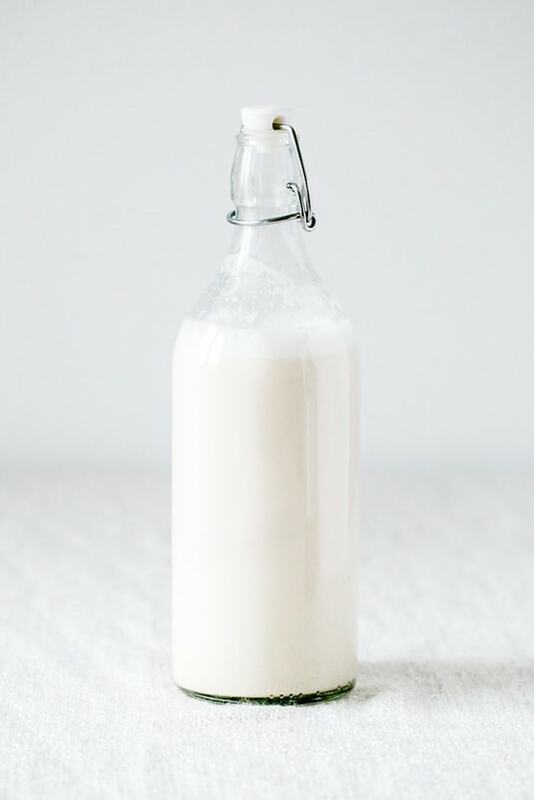 The milk can be kept in the fridge for 3–5 days and should therefore be used freshly.